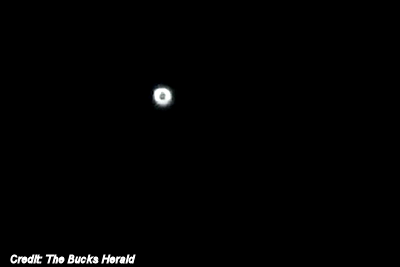 Did you see something strange in the air over Buckingham Park last night? flew off over the horizon, with power cuts following the mysterious appearance. A Buckingham Park resident, who did not wish to be named, said: "We were lying in bed and this extremely bright light lit up the room. We assumed it was a star because it was a clear night but it was so bright. "Then it slowly rose up and suddenly shot over the top of our house and you could hear an aircraft like noise but it was too fast to be a plane.